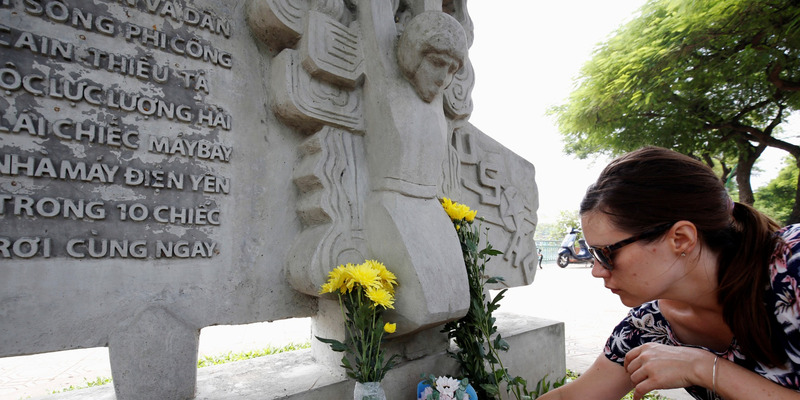 After hearing the news of US Sen. John McCain’s death Saturday, people in Hanoi, Vietnam have paid their respects by visiting the memorial at the site of his crash during the Vietnam War in the capital city. The naval aviator was flying one of 10 planes that were shot down by the North Vietnamese military on the same day, according to the inscription on the statue, which McCain himself visited on a return to Vietnam in 2009. McCain was dragged out of Truc Bach lake and spent the next five-and-a-half years as a high-profile prisoner of war in Hoa Lo prison — the infamous “Hanoi Hilton” — where he and others were tortured. HANOI (Reuters) – On the shores of a still and peaceful lake on the edge of downtown Hanoi, the inscription on a faded monument stands as a reminder of a violent event 51 years ago.